Knit bones, stitch muscles, and weave neurons into biologically-realistic underwater lifeforms. It's like Spore, but with actual science. Liked the cell stage of Spore, but wanted more depth? 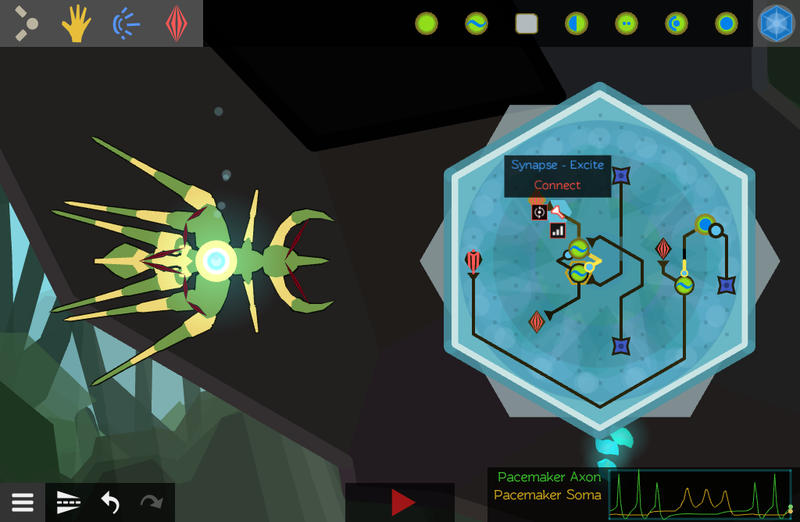 Gotten merrily lost in the graphical programming puzzles of SpaceChem? Love the "can I manage to build this...?" creativity of Kerbal Space Program? Crescent Loom is the very first biologically-realistic nervous system simulation game. It lets you — in a hands-on, mad-scientist way — tinker with everything from neurotransmitter to the ecological niche of an animal. So dive in and maybe — just maybe — by poking around with these simple creatures you'll figure something out about how your own body ticks. 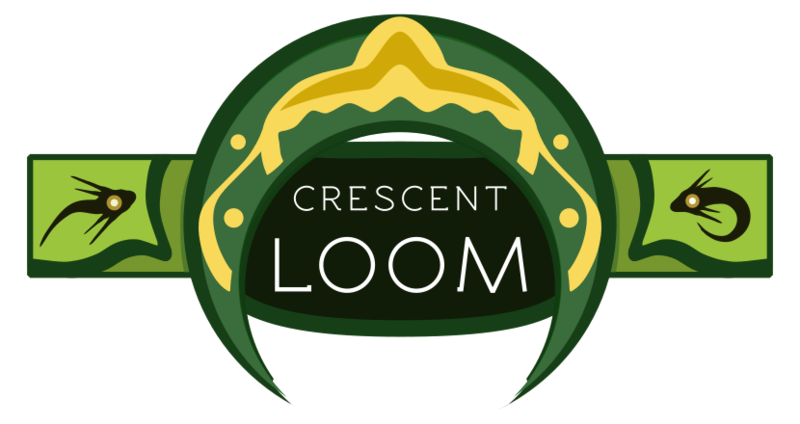 Crescent Loom is currently in open development; expect potentially major bugs, crashes, changes, and additions as I work on it over the next few years. The best way to keep an eye on this is by subscribing to my monthly wickletter. Did you see that there's a free in-browser version? It's as identical as I can make it given the tech constraints — just runs a little slower and you can't save locally. yo i... adore this, and my friends adore this, and any effort to do anything like spore but good is an incredibly noble one. i'm not sure if this is the correct method/place for bug reporting but the tutorial stops responding after the part where you're told to push the play button, and it looks like there's a lot more tutorial to go judging by the greyed-out levels next to it. is this intentional? again, thank you thank you thank you for wonderful game. Glad to hear you're enjoying it! Alas, the tutorial does end after you press play; the greyed-out levels are works-in-progress that aren't in-game yet. I could definitely do a better job making that clear. I'm currently trying to get more funding to keep working on the game and add more levels. Following the game here or joining the mailing list will letcha know when I update it.